Wildfire resistant home construction cost comparison. A study released this week finds new wildfire resistant homes cost roughly the same as more traditional home construction. 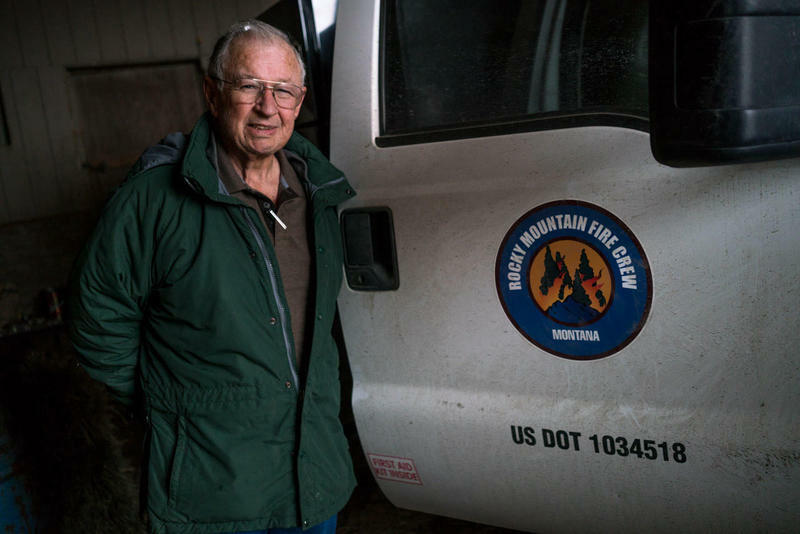 The finding is potentially significant given growing public awareness as fire seasons lengthen and mega-fires, like California's devastating Camp Fire, increasingly displace people from their homes. One-third of American homes are now located in the wildland-urban interface, that zone where homes are built near, or in, undeveloped wildlands susceptible to fire. 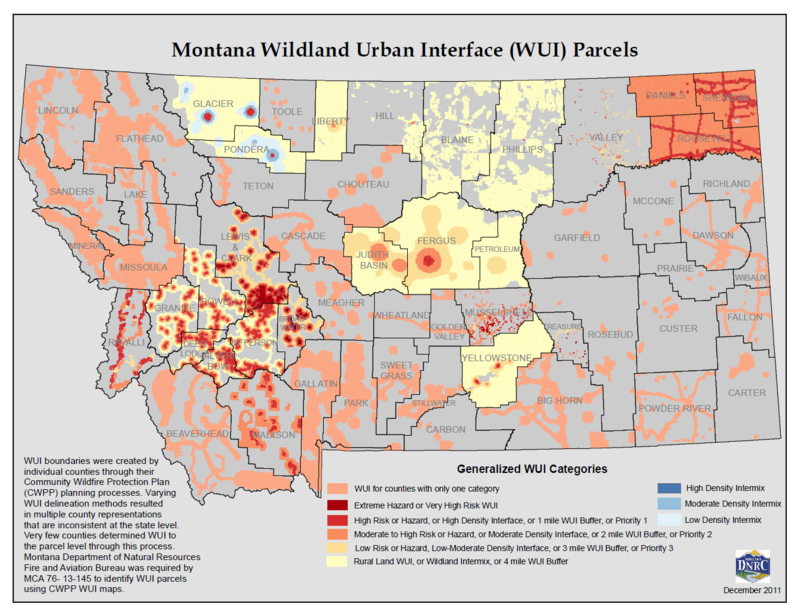 "One in eight of all new homes in the state of Montana are built in areas with high wildfire hazard. That's more than 11,000 new homes since 1990," says researcher Kelly Pohl with the Bozeman-based Headwaters Economics. "Over the last decade, more than 35,000 homes have burned down in the United States from wildfire," Pohl says, "and that does not include the numbers from this year, so it is an area that is increasingly at risk." Pohl says research shows roofs, exterior walls, decks, and landscaping are particularly vulnerable to wildfire in a structure using traditional construction materials. "A few adjustments can be made to those components to make them more resistant to wildfire and more likely to survive a wildfire event," she says. Adjustments, including use of fiber-cement siding on exterior walls, asphalt composite roof shingles, fine mesh roof venting, and composite decking. Pohl says these items, and more like them, are widely perceived to be more expensive than traditional construction materials and techniques. Kelly Pohl: We wanted to find out if that perception was true — does it cost more to construct a home that's resistant to wildfire? And the answer we found was that it doesn't. In fact, there are a lot of different strategies you can use to construct a home that's resistant to wildfire, there are a lot of options in materials, and design choices, and they are comparable in cost to the typical home that you would find in the wildland-urban interface of Montana"
Edward O’Brien: Comparable in this case means what? KP: Well, what we actually found is that a wildfire resistant home costs slightly less than a typical home, and the cost savings largely came from the change in siding that we used. In a lot of homes in Montana, you find homes with wood siding, cedar plank siding, for example. If you trade that out for fiber cement siding, which is very common and available on the market, it can save a tremendous amount in the construction of a new home. Some of the other features that we priced included the roof and the deck, and those features added slightly to the cost of a typical home, but overall the components we looked were in the same range as the cost of a typical home." EO: Do we have any specific numbers when it comes to total construction costs? KP: We only looked at the components of the home that were vulnerable to wildfire, so we didn't examine the cost of constructing the entire home, but when you look at those vulnerable components, we found the wildfire resistant home was two percent less than the cost of a typical home. EO: What about retro-fitting a wildfire resistant renovation? I would assume that would be a little more expensive due to labor, or did you all even look at that? KP: We did look at retro-fitting because it's a really important question. If we only apply these kinds of regulations to new construction, it will take a long time for a community to be built to these standards. And you're right, what we've found is that retro-fitting is certainly more expensive. The cost of replacing a wood-shake roof with an asphalt roof is basically the same cost as new construction. So it is a significant hurdle but it might be something that can be undertaken incrementally when you need to replace your roof. EO: Ms. Pohl, has this sort of study ever been conducted before, or is this kind of a first-of-its-kind sort of thing? KP: To our knowledge, it's the first of-its-kind. Some communities have looked at this at a smaller scale and gotten, for example, bids from local builders, but our approach was a little different. We wanted to look at it from a national scale, and we also wanted to use some consistent methodology. So we used a national database of construction costs that averages costs and labor prices from across hundreds of cities in the United States. I think we will see more insurance companies paying attention to these issues, and they already are, in parts of the country. And I think we'll also see local governments paying attention to this, because what we're finding is that the cost of a wildfire at the community level goes beyond the cost of putting a fire out. Those are the numbers often reported in the media, but the cost to a local community include long-term suffering. Things like impacts to physical and mental health. It also includes lost business revenue, lost property tax revenue, the cost of repairing and improving the infrastructure that's damaged in a disaster. These challenges are growing and they're only going to continue to increase. Kelly Pohl is a researcher with the Bozeman-based Headwaters Economics.